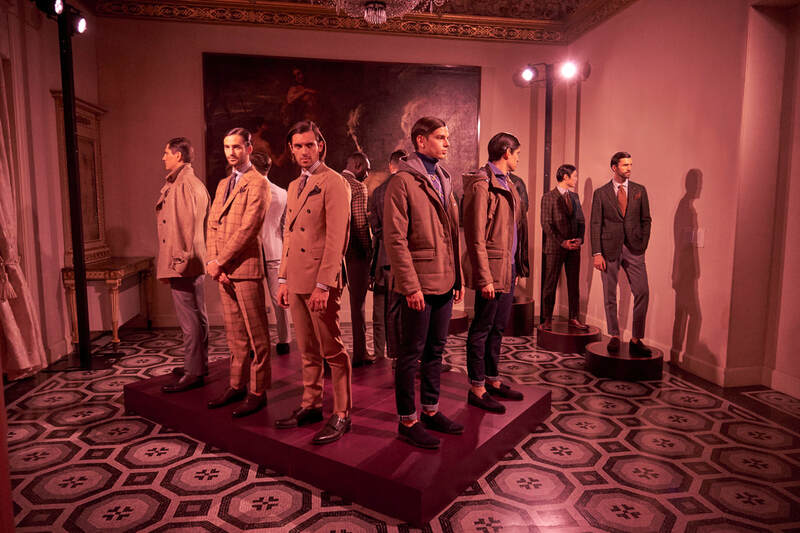 ​January 13th 2019 – (Naples, Italy) ISAIA’s Autumn Winter 19/20 collection is dedicated to the iconic Teatro di San Carlo in Napoli. 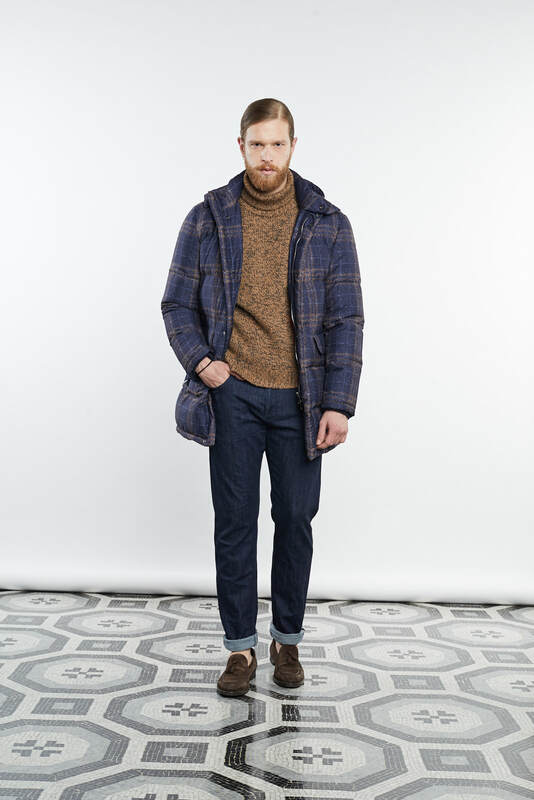 The new seasonal collection highlights the checker pattern as a key feature and reoccurring theme. The jackets reinterpret this pattern through unusual macro versions and are combined with the coral logo in the iconic signature meltons. The season’s rich palette takes a lively look at the winter season and transmutes its color story to medium-dark tones, which are animated by mélange effects, and come alive with dynamic mouliné textures. Starting shades in the brick red – burgundy family move towards burnt umber and camel, which then evolve into variations of bottle green and khaki, finally ending with sophisticated and elegant shades of purple and cyclamen. 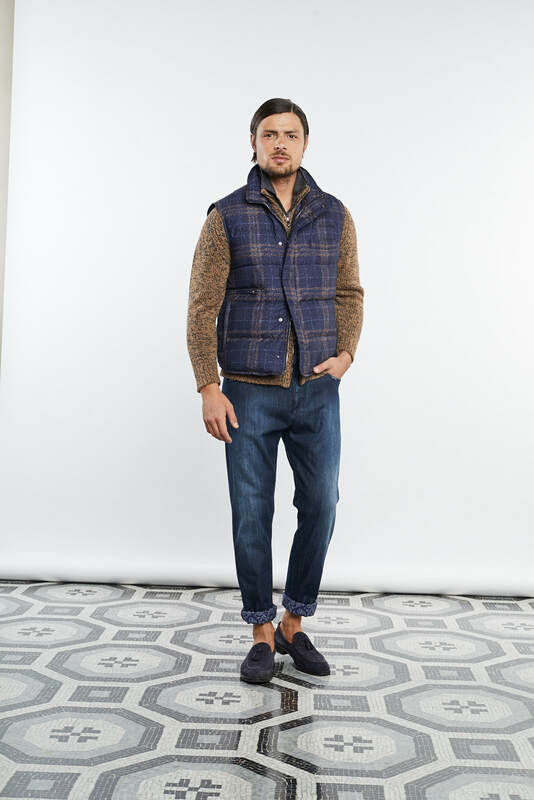 These colours are skillfully mixed with evergreen shades throughout a complete offering of a gentleman’s wardrobe showcasing a classic palette of greys in varying density, from light, medium, slate grey and navy all the way to air force blue. Natural shades are an essential element, beginning with soft beige and buckwheat then moving more strongly towards tobacco and dark chocolate. As a truly unexpected and particularly sophisticated component, geometric and print patterns that decorate the fabrics in the smoking jacket capsule collection directly draw from the artistic heritage of the Teatro di San Carlo in Naples. The historic theater’s lavish frescoed neoclassical ceiling is a statement of its iconic status in the city of Napoli, in which ISAIA has a long standing of patronage and collaboration. 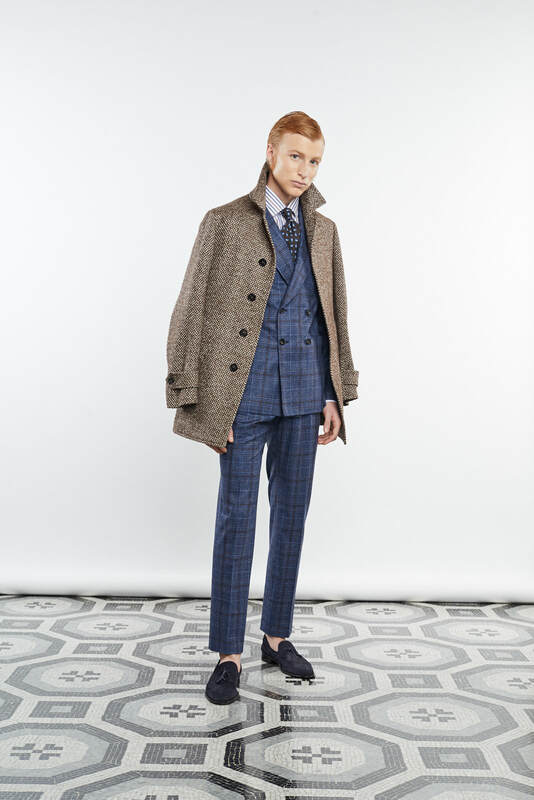 The fabrics and materials utilized in the AW 19/20 collection are the result of in-depth research into new-generation yarns, involving revolutionary materials that are ductile and high performance, all while maintaining the elevated traditional quality standards of ISAIA tailoring. The explosion of colour and oversized patterns seen through the Prince of Wales checks are features of the selection of fabrics for jackets within the “dandy attitude” fabric collection. 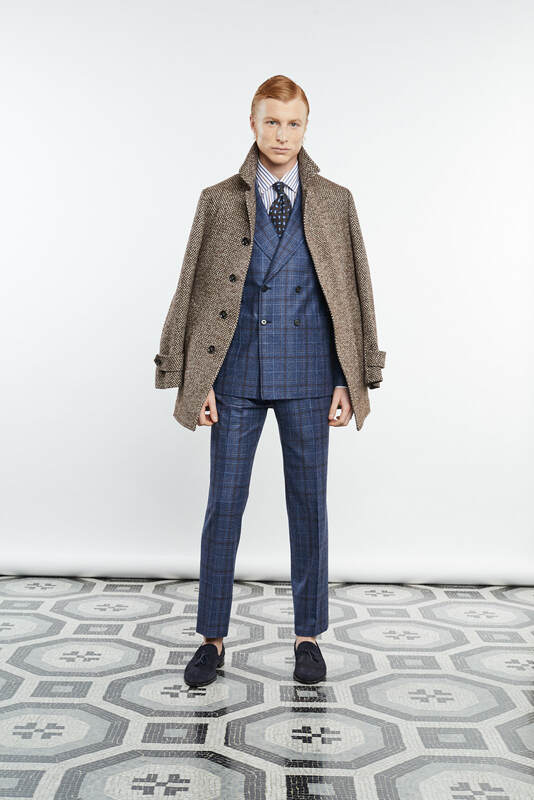 These patterns are combined with the and entirely newly developed bouclé; the “cashmere & alpaca bouclé” as well as the “sciammèria blazer” fabric, featuring incredibly soft, combed pure cashmere, that is lightweight and warm, in a grid of singular colourways. 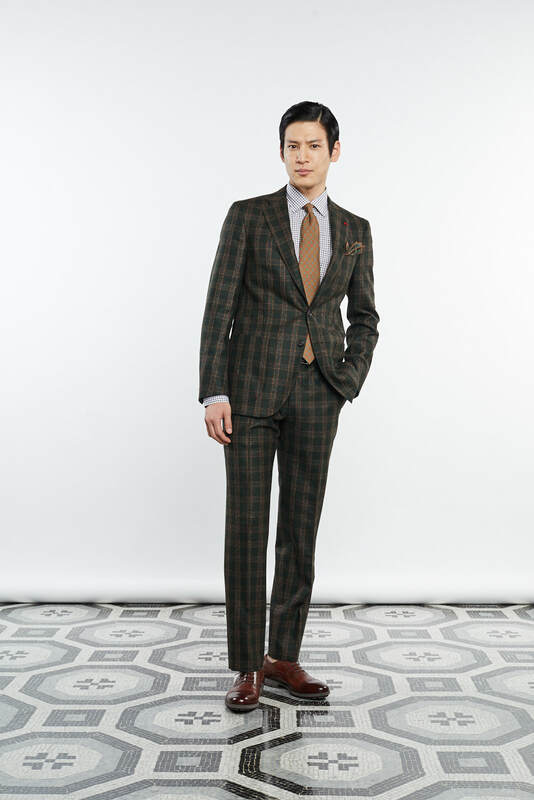 In suiting, the “Donegal silk” brings new life in a contemporary twist on the formal suit. 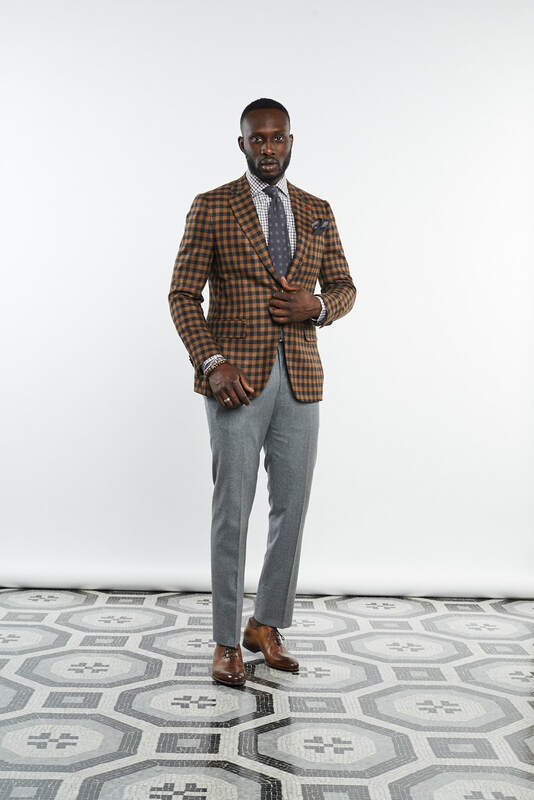 The “Delain damier design” moves beyond the typical chequer pattern for jackets, using the design it in suits with a updated dandy feel. Finally, “baby camel”, a masterpiece among the finest and most luxurious wools in the world, is produced with the rarest fibers. 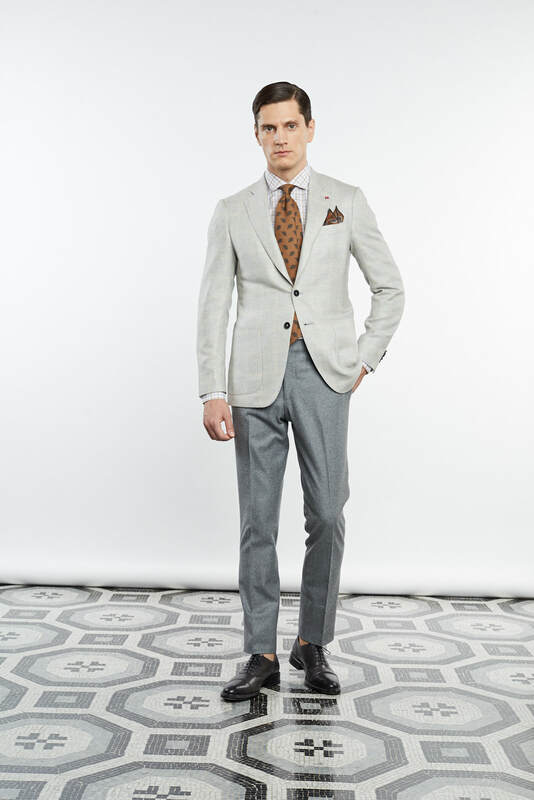 In this collection, “baby camel” reaches unheard-of fineness, within the top 200’s 13.5 microns to symbolize the added sophistication of the “ISAIA sciammèria” suit; the pride and joy of the Casalnuovo company. 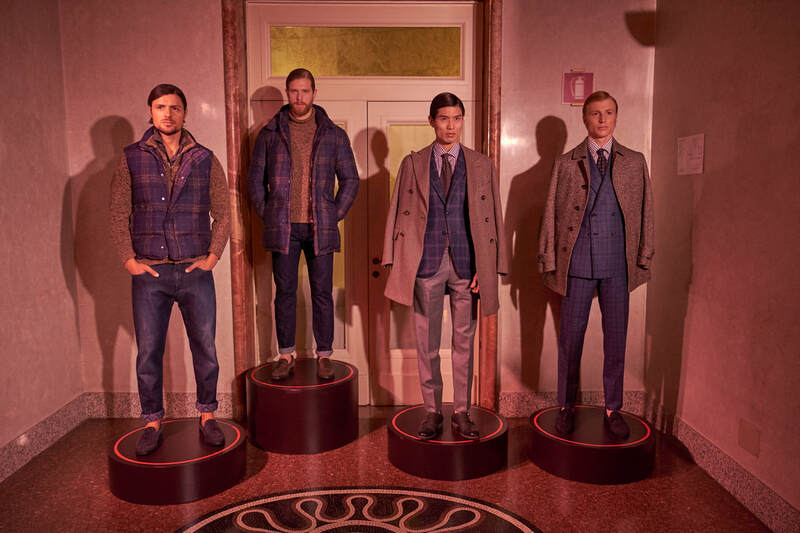 The full ISAIA A/W 2019-20 collection was presented on January 13th during an event at the Fondazione Cariplo in Milan. The relationship of the brand with the world famous Teatro di San Carlo, spanning decades, is the theme of the evening. The renowned orchestra of the San Carlo entertained ISAIA’s guests, made up of a string quartet and piano accompanying a tenor and a soprano. 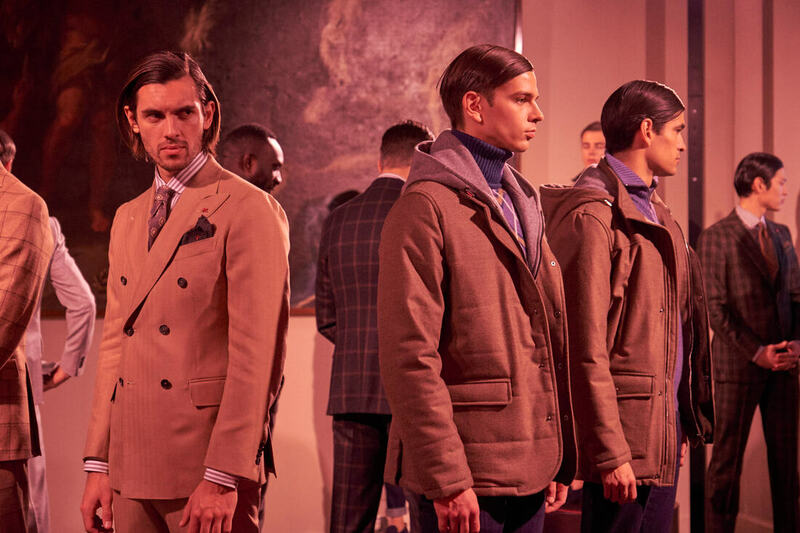 ISAIA surprised its guests and proudly announced the addition of womenswear with an entirely new collection revealed with the theatrical accent of the scarlet velvet curtain. Born from its sartorial roots, unmatched experience, and ancestral codes, this marks the next step for ISAIA to bring the sacred tradition of Neapolitan tailoring to womenswear. The collection features ten pieces, taking styling cues from menswear, yet translating their semantics and the classic content into a rigorously feminine style. The result is inspiration for a dynamic, independent, and determined woman. 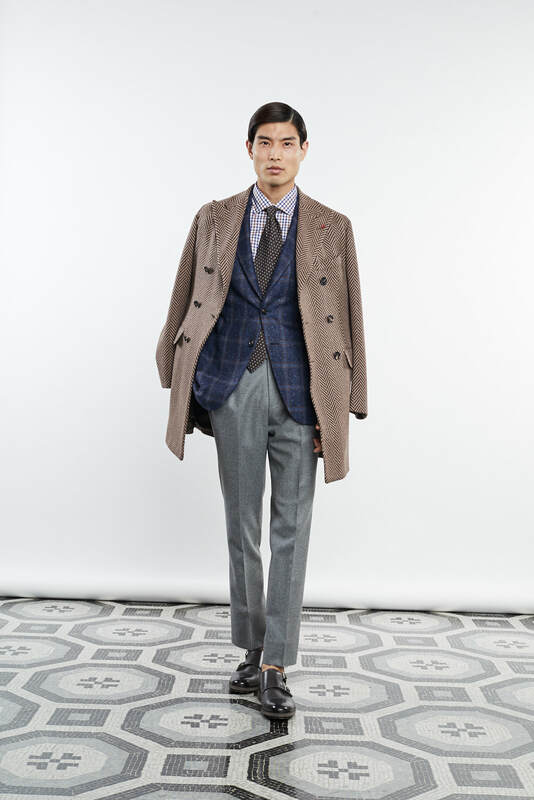 True to ISAIA’s ethos, the collection features a contradiction of concepts in blending the masculine yet an always sensual and self-deprecating female personality. 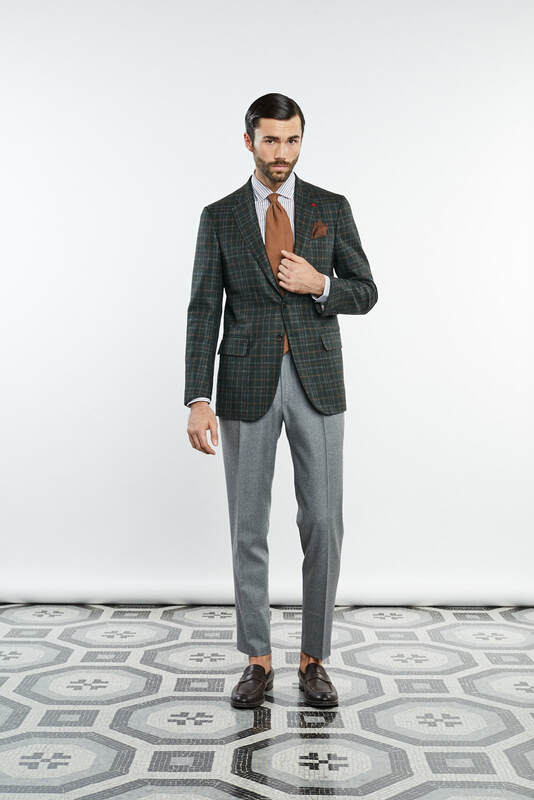 It is vibrant in its elegant sexiness which can only go hand in hand with humour and irony; a leading feature of the ISAIA philosophy. 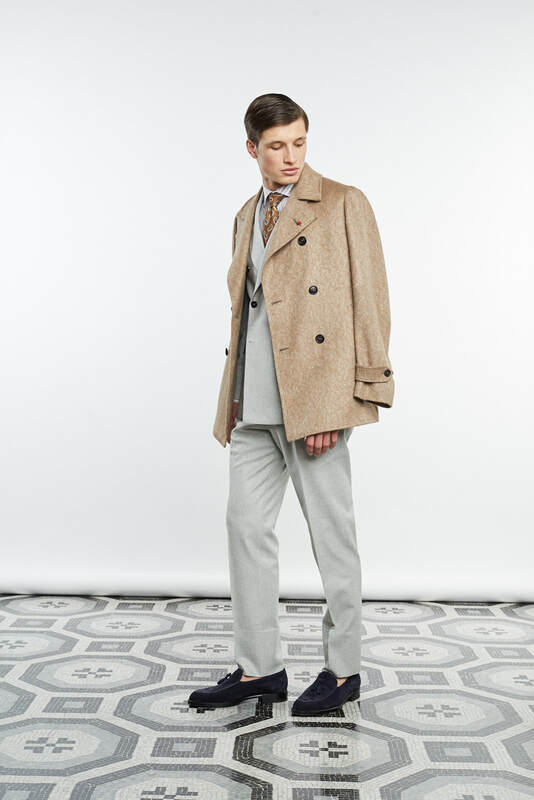 The palette is set according to inspirations from the Teatro di San Carlo in Naples, moving through its auditorium, foyer, boxes and the neoclassical façade and blending in with the colour notes that are features of the 2019 menswear features. A textile blend which unfolds among wool and cashmere, incorporating velvet, as well as georgette, cady and silk twill. 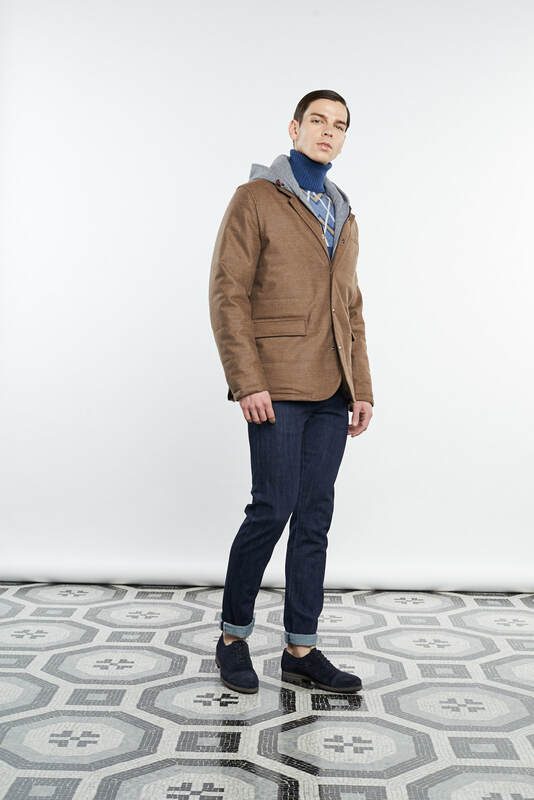 Outerwear items look to those intended for a man’s world, yet interpreted by means of decidedly more sensual and daring proportions. Straight shoulders and wider and more pronounced lapels for the jackets, midi skirts with a retro feel, and very deep and impactful V necklines which, surprisingly, reveal the back. Shirt collars and cuffs are again strictly masculine and balanced by graceful, tiny ruffles which peep out from skillful splits, formed on the surfaces of the fabrics. The eternal play on masculine and feminine, an engaging androgynous and slightly ambivalent charm, is released in the tie effect of the printed patterns on silk twill and, above all, in the strictly masculine button fastening. Aubergine and coral red, the emblematic colour combination of the label, are forefront, declaring full affiliation with the ISAIA imagery of this newly launched venture just for women.